FINRA announced a self-reporting initiative to promptly compensate harmed investors and promote firms’ compliance with the rules regarding recommended transactions of 529 savings plans. Under the 529 Plan Share Class Initiative (529 Initiative), broker-dealers are encouraged to review their supervisory systems and procedures governing 529 plan share-class recommendations, to self-report supervisory violations, and to provide FINRA with a plan to remediate harmed customers. In response, FINRA’s Department of Enforcement will recommend that FINRA accept a settlement that includes restitution for the impact on any affected customers and a censure, but no fine. Notice to Members 19-04, issued with the announcement, outlined the types of 529 Plan supervisory weaknesses observed by FINRA and the terms of the initiative. Particularly, the focus is on 529 share class cost and benefit differences, which range from failures to train, incorporate into individual transaction assessments, and to obtain and receive the data into supervisory systems. 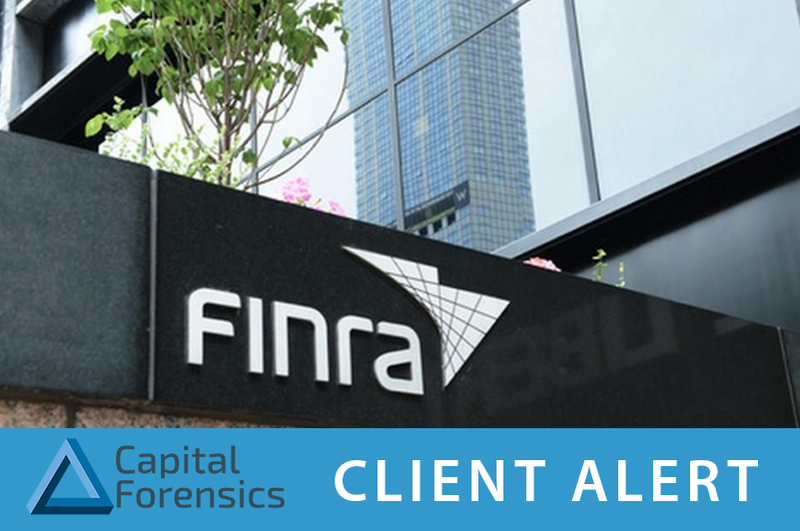 Under the proposal, a Firm has until April 1, 2019 to self-report with a written notice to FINRA Enforcement. A Firm must then confirm its eligibility for the initiative by May 3, 2019 for the time period January 1, 2013 through June 2018, across a number of categories, including an assessment of customer impact. As 529 plans are treated as Municipal Securities, firms must look to those rules when conducting their reviews. According to FINRA, the self-reporting settlement would include Municipal Securities Rulemaking Board (MSRB) Supervision provisions (G27) and importantly – not result in a firm’s “statutory disqualification (SD).” However, if a firm does not self-report under the 529 Initiative, and FINRA later identifies supervisory failures by that firm, any resulting disciplinary actions likely will result in the recommendation of sanctions, more severe than those from self-reporting. CFI has been working with its Clients on multi-share class matters, including 529 plans, for a number of years. A number of these topics are highlighted in an Investment News article by CFI’s Managing Director, Kamran Fotouhi, former FINRA Surveillance Director. Our Regulatory team also includes CCOs of firms that have dealt with FINRA on this subject. Moreover, CFI has built a Mutual Fund Regulatory Remediation platform to address a number of industry fund share class remediations for self-clearing, clearing and introducing firm and direct fund platforms. We also have extensive experience dealing with the SEC’s SCSD on self-reporting initiative schedules and timeframes, (SEC Select Share Class Disclosure (SCSD) – A New Enforcement Remediation” NSCP Currents March, 2018). We understand the challenges of acquiring, validating and analyzing the data needed to perform these assessments and remediations. If you or your Counsel need assistance with this initiative, please Contact Us.